“How?” Free asked, she was already packed. “There be different types of combat. There is kills someone directly then there is just grow so strong they will not even think of fighting you. They talked about the economics report for a specific month and war was all over it even if there were not as many explosions. Now this was high comedy for folks who tend to read between the lines. One councillor asked if bounty payouts were currently sustainable and was flat out told no. Another asked which subcap ship was drawing all the isk only to be told it was Carriers and SuperCarriers that were doing the most damage to the economy.” Mike laughed. ‘Why is this funny?” Free asked. “That is because it isn’t. For all that you call it a Bus . . . ” She stopped as Mike swung to face her square on, the smile gone. “Some words don’t need being said. Some stands about people based upon the colour of their skin? Where they be born? Not welcome. Not now, not here, not there. You want to rile up a Gallente? Push his or her limits on those boundaries. Rookie help chat is very specific about such talk but the people in charge ain’t always about. Damn I wish they would give me a hammer, even a small one because some nails just beg to get knocked into the wood. She rolled her eyes and boarded the Bus as Mike waved over a crane and rode it down the hanger to the pod bay. What should be taught and how is a common refrain for the Eve NPE, they have changed it again and I am not sure that it is for the better. IF I ever get on the CSM again I am going to do a pedagogical analysis of the NPE and hand the damn thing in. There is still a bit more to write on the minutes and the wardec thread is still going hot and heavy in the forums. I may have to write a side piece on that. Y’all getting ready for eve vegas? I am jealous. But you kids have a great time. 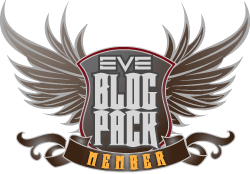 This entry was posted in Uncategorized and tagged CSM, eve online, Free, In character, Lessons, Mike, minutes. Bookmark the permalink. Do you really need to be on the CSM for a pedagogical analysis to be valid Mike? Looking at the current thread on Eve-O on the minutes, reminds one to Canto VII of Dante’s Inferno. No matter which side, you are all on hell.